Muscle injury and stiff connective tissue can be a major contributor to pain that is associated with many medical conditions. Healing these tissues with medical massage in Cary NC and working strategically with a treatment plan makes the difference between getting better or remaining in a suspended state of pain and dysfunction. We are a teaching practice with talented practitioners and educators who have taught medical massage and associated therapies nationally and internationally. How long will the results last and how soon will I start feeling better? The severity of the condition that is being treated. How long the condition has existed before starting muscle therapy. A general rule of thumb is to receive one massage for every month you have had the condition. How often should I visit massage therapy for my pain condition? Although this answer varies based on complexities in each person’s case, we do find there is a general trend. For sessions relating to general persistent muscle pain conditions, treatments require 1-2x/week for the first 2-3 weeks and then taper off as the condition subsides and results last longer. General full body massage therapy on a biweekly or monthly basis is recommended for all people as a way to prevent muscle and joint conditions brought on by a lifestyle that requires a lot of sitting, posture problems, and simply by aging. Do I need a physician’s referral to receive medical massage therapy? Do I need a physician’s referral to receive medical massage therapy? No. However, we recommend that you consult with a physician before seeking massage therapy for severe complaints: (a) your condition should be diagnosed by a doctor so as to prevent you from receiving misguided therapies. (b) if you have a medical plan that covers massage therapy, a physician’s prescription is necessary to receive reimbursement. How does medical massage differ from general therapeutic massage? Skilled application of specialized techniques. Neuromuscular therapy (NMT), trigger-point therapy (TrP), sports and orthopedic massage, deep muscle massage, and myofascial stretching are some of the more common treatment modalities associated with Medical Massage. Do you refer to other health care professionals? Why wait when a combination of therapies often speed-up desired results? For severe conditions, we recommend a combination of either physical therapy and medical massage or chiropractic and medical massage. Taken together, this combination of therapies can significantly advance positive results. What’s the difference between medical massage and physical therapy? Massage therapy and physical therapy are two distinct disciplines. Our medical massage therapists explain the similarities and differences as such: physical therapists incorporate massage into their physical therapy treatments and they use a wide variety of instruments, stretches, and strength routines to treat physical conditions. Physical therapists tend to have less training in manual techniques than do massage therapists. They use massage techniques for 10-20 minutes, referring out to massage therapists for manual therapy sessions that require longer treatments. Because both professions understand the beneficial roles of the other, massage and physical therapy are very complementary. Sometimes our therapists see clients where physical therapy or chiropractic has, according to our clients, “not worked”. In these cases our therapists find that massage therapy prior to returning to physical therapy or chiropractic helps these modalities achieve longer lasting results. 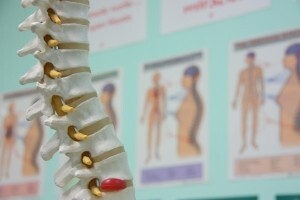 What’s the difference between medical massage and chiropractic medicine? Too simplistically stated, chiropractors use manual bone adjustment techniques that take pressure off of nerves and joints. Massage therapists use soft tissue massage techniques to help take pressures off of nerves, muscles, fascia and joints. 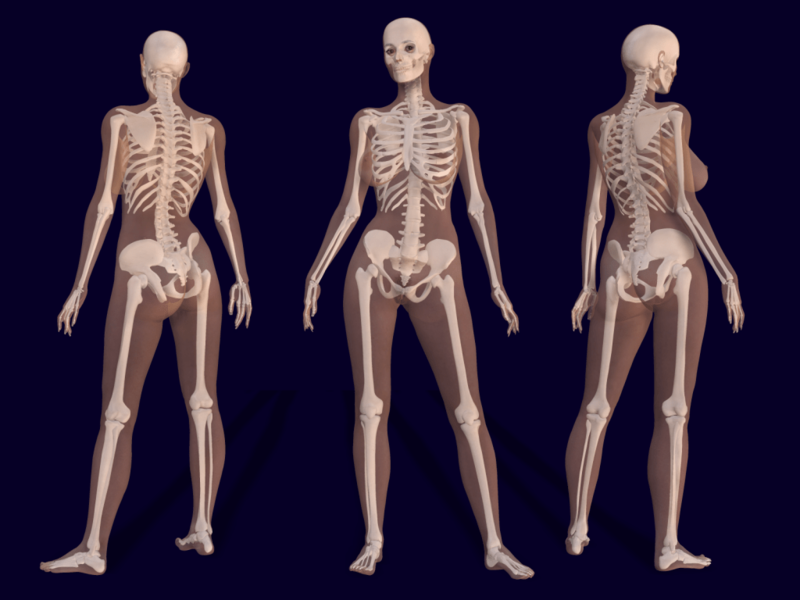 Massage therapists do not offer bone adjustments; it is out of their scope of practice. 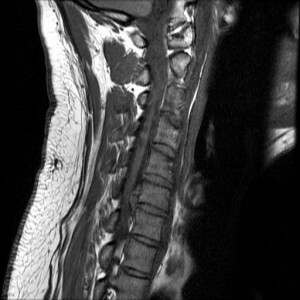 Should I be concerned about my neck and back pain that comes and goes? The concept of pain threshold explains the body’s ability to bounce back and forth between being symptomatic one day and feeling fine the next day. For example, tension headaches that come and go. A body can put-up with a certain amount of soft tissue damage before pain threshold becomes symptomatic. Ignoring these pain threshold symptoms makes recovery take much longer, costs much more to the client, and can cause irreversible pain problems that involve the joints and bones. Can massage therapy improve muscle tone and postural balance? Yes, manual therapy does affect muscle tone so that when your muscles are at rest, they are neither contracted (shortened and weak) nor taut (over stretched and weak). Although manual therapy such as massage therapy does not directly improve muscle strength, a healthy, relaxed musculature with adequate blood flow has a greater ability to build and maintain strength and healthy posture. Do I have to have a pain condition to receive massage at your practice? No. We offer many types of massage and people visit for a variety of reasons. Frequent and regular treatments and a treatment plan are only suggested when treating symptoms relating to a chronic pain complaint. Other than that, you are always welcome to visit us as needed! Learn more by clicking on the other features highlighted on our Home Page. Is medical massage therapy painful? Discomfort during the massage depends on the reason you are seeking a massage. If it is for soothing purposes, our therapists will avoid any massage technique that is uncomfortable. If you are receiving medical massage or sports massage for a pain complaint, the massage will likely cause some tolerable discomfort. Discomfort subsides as the muscles and fascia soften and respond to the massage. Are there health benefits to relaxation massage? In addition to feeling good, there are physiological and medical reasons that one might seek massage for relaxation purposes. Unhealthy or “burnout” stress is one of the hazards of living in a culture that is overstimulated by excessive work and home pressures or by the need to stay hyper alert while driving a vehicle. Additionally, we overuse stimulants such as caffeine to keep our stress engines fueled. Over time, our bodies wear out and we begin to present with chronic stress symptoms such as sleep disturbances, tension headaches, multiple pain patterns, fatigue, anxiety, and digestive problems. Relaxation massage helps stimulate the part of the brain that controls deep sleep (this is a crucial time when the body’s tissues are repaired), digestion, and deep and slow breathing. Seen in this light, relaxation massage IS medical massage when the intention is to calm and restore the body as a whole. Given the fact that many of us desire to live in a healthy body/mind state in this stress-oriented culture, we might want to respect all the ways we can restore our body’s self-healing functions. In addition to benefiting from the specificity of medical massage techniques in Cary NC, our clients are also more empowered by a greater understanding of why their bodies have tension and pain and how to minimize the impact of chronic and persistent pain on their daily lives. Muscle pain is a signal that your body is stressed and these pain signals should not be ignored. Chronic muscle tension and soft tissue injury is often caused by postural distortions from past injuries, repetitive overuse of muscles, or habitual movement patterns. For example: we find that many of our clients suffer from muscle pain and tension in their neck and shoulders. Lifestyle factors like hanging their heads forward at the computer desk and sitting in one place for long periods of time “day in and day out ” cause this chronic build-up of tension. 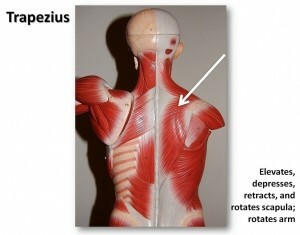 Chronic tension from past muscular injuries such as whiplash also perpetuate pain patterns. If these lifestyle factors and muscle injuries are left uncorrected and ignored, a person risks more severe injury to his or her neck, shoulders and upper arms. Nerve impingement and numbing in the arm or hand, intervertebral disc herniation, degenerative disc disease, and osteoarthritis are examples of these preventable more severe conditions. Our clients appreciate that rates are based on time rather than the type of massage they ask for or the technique employed by the therapist. We aim to maintain as much flexibility for you when booking appointments and for our team so that each of our therapists can call upon all healing skills their training allows. There are a few exceptions to our practice of uniform payment-by-time. These and other exceptions are highlighted on our rates page: Medicupping massage treatments, How-to classes, and Couples Massage sessions are priced higher. First time visitors save 20% off their first session of 60-min or longer. Save 20% each time you visit when you purchase a package of five (5) sessions. If you submit to flex spending or an insurance company, please request an insurance receipt at checkout. 20% first visit offer is for appointments booked in-office and not applicable to home visits or off-site events. This discount does not applies for sessions with Staff Therapists and and is not offered by owners Tammy Campbell and Laura Ford. Share your savings packages with friends and family and help them get better and stay well! Packages are transferable but non-refundable. Gift Certificates & Packages expire after 1-year and value will decrease by 10% each year thereafter. Standard service rates and packages apply for Staff Therapists only and not for owners Tammy Campbell and Laura Landsiedel Ford. Appointments with owners are not eligible for discounts and will be charged at full price. Stay in touch by joining our NEWSLETTER LIST and FACEBOOK PAGE or stop in for one of our Drop In & Discover classes or workshops. No Shows and Late Cancellation Policy. Please remember that your appointment time is reserved especially for you. All no shows and same day cancellations will be charged the full session price. If you cannot make your appointment, we encourage you to invite a friend or family member to take your place. Appointments rescheduled or cancelled by 5 pm the day prior to your scheduled time are not subject to our cancellation and no-show policy. Medical massage therapists track and treat symptoms such as trigger points (radiating pain, tenderness resulting from ischemia (poor localized blood flow), drastic muscle tone imbalances (tension), and pain patterns during movement or remaining still). Among other methods, our medical massage therapists have experience with Integrated Neuromuscular Massage Therapy. I-NMT is a treatment method that uses neuromuscular, myofascial therapy, and trigger point techniques in combination with a postural based treatment plan and client education. These techniques lead to long lasting results, often allowing our patients to avoid surgery and minimize the need for pain medication. Achieving I-NMT competency requires a thorough knowledge of musculoskeletal anatomy, injury-specific treatment routines, and postural analysis. As a teaching practice, our visitors benefit from receiving treatments from massage therapists who are immersed in mentorship and supervision and side-by-side practical training. Experience the difference for yourself. For more information regarding the I-NMT technique, visit website, Bodywork Seminars, a division of Hands On Health.